and imagine who's in that house? and what kind of quilts are draped over their beds? I talk about my tech problems a lot on this blog. Mostly because I feel that all this technology that so easily promises to be a tool, so often ends up being an expensive waste of time. Sometimes I feel like I need staff (and an on call IT expert) to get through and accomplish everything I want done! Sometimes I dream about logging off forever. Then I consider how much work, updates and and installations would be waiting for me if I ever did unplug and then want to re-plug...and so I change my mind. Do you ever feel like its too much bother? Or do you enjoy the new advances technology allows? 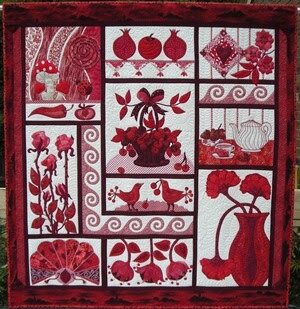 Do you think it enhances your love of quilting? or something else? 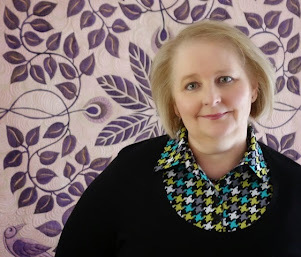 Actually I love sharing what I do and blogging my quilting journey here, I just wish it was as fast and easy as they keep promising me with every software, update and gadget. Thank you Amy for so generously hosting another Blogger's Quilt Festival! 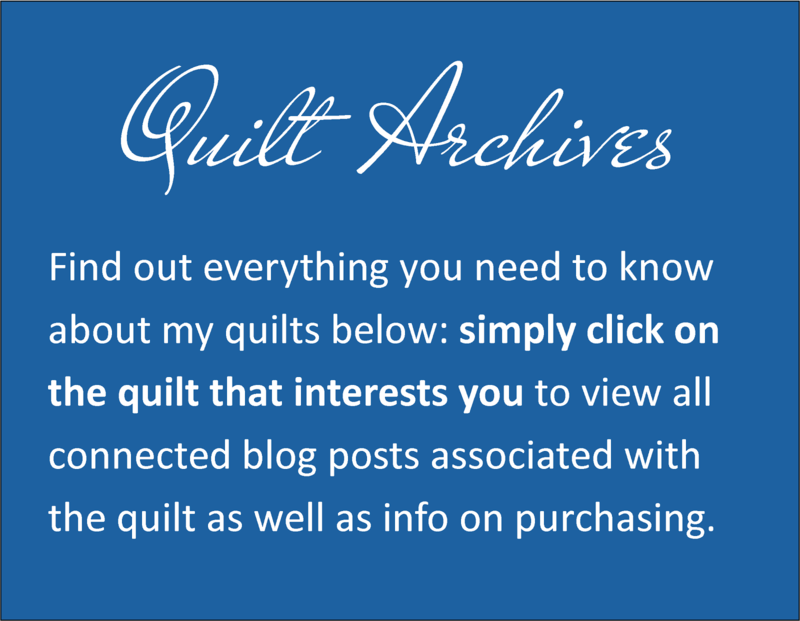 I love sharing the stories behind my quilts as well as hearing about everyone else's quilts too. 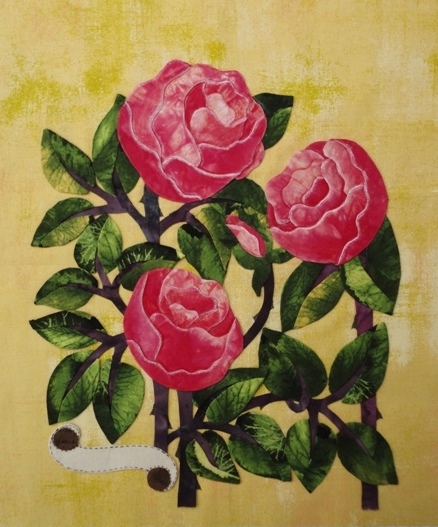 If this is your first time to my blog, welcome and thank you for stopping by. This time around the linky's are under catergories (it took me a while to work this out!) 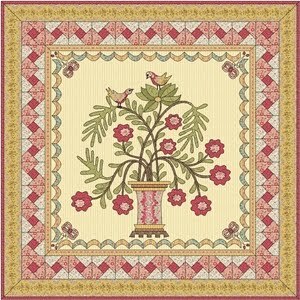 and I am listing this link under Wall Hanging Quilts. 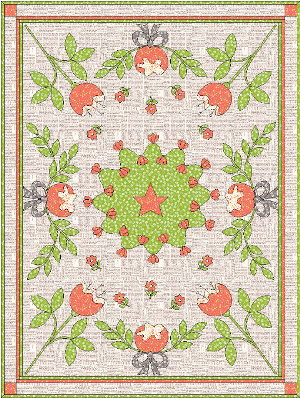 I designed Pomegranate as part of a series of 'vase' wall hangings. At the time I had a set of three designed and this is my first. 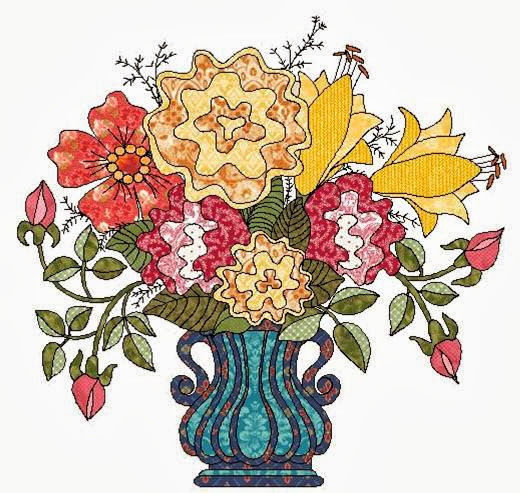 Each being of a similar design with the same vase used throughout but featuring different bouquets. My other vases centre around the pineapple and rose as their main themes. The idea behind the vase theme was to have an installation of 3 vase quilted wall hangings, each one representing a positive homely trait and blessing. 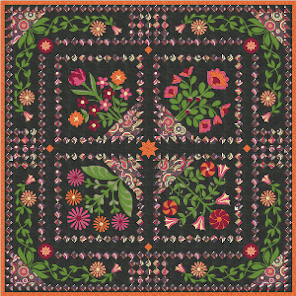 For this wall hanging, the Pomegranate symbolises fertility, wealth and abundance. And my other two vases represented hospitality and humility and love and devotion, respectively. 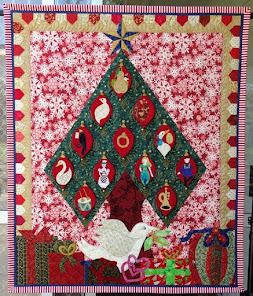 My other two are still WIPs (like a lot of my To Do's....) This quilt is hanging up at home in my lounge room, a reminder for me to get on with my projects. 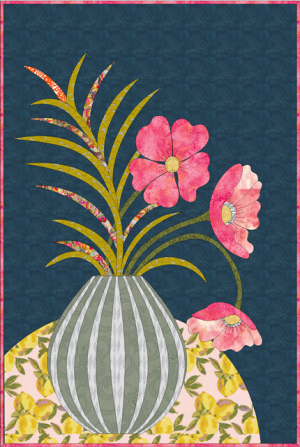 Like a lot of my wall hangings, I often enhance the fabric with embellishments and pen work. 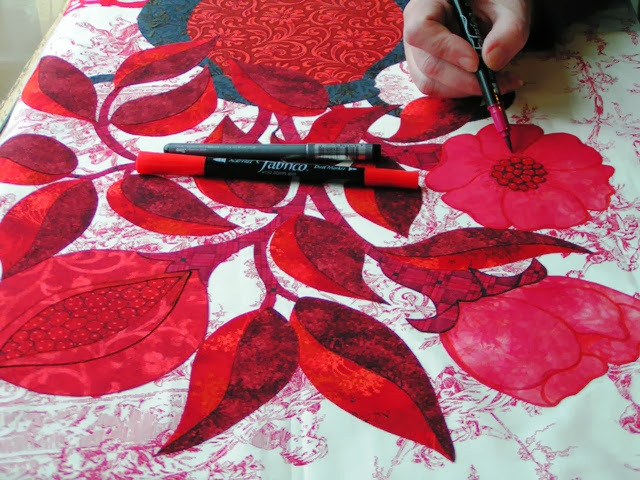 When I do this, I use the appropriate medium so that my embellishments are permanent and colour sure. 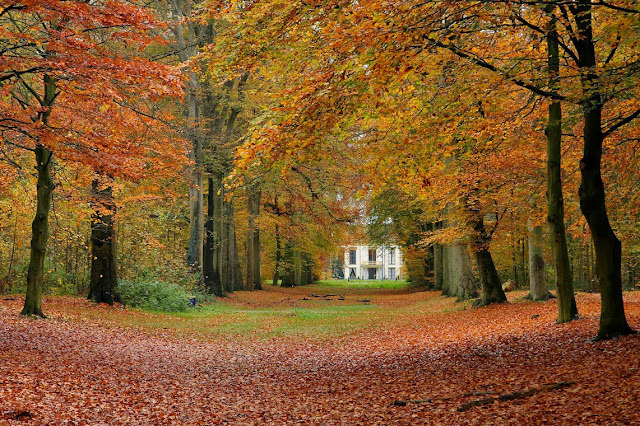 This weekend I enjoyed a retreat in Warburton, it was a nice break from my WIP pile. 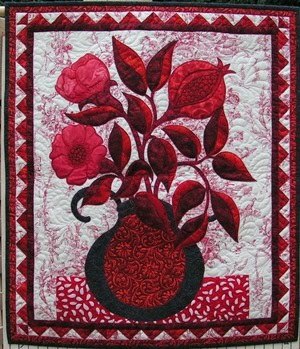 I can't get into gear with my WIPs and just don't feel in the mood to make a start with any of my quilts yet - do you ever feel that way? 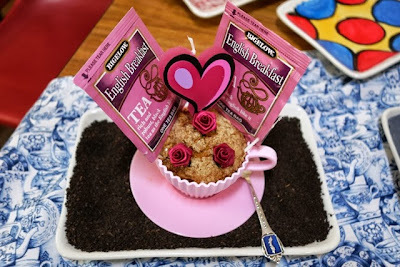 this is the winner, it's so charming! For our 40th Wedding Anniversary, my DH bought me a Bernina 820 sewing machine. It wasn’t a quick choice, I'd spent months looking at machines, determined to get the one which best suited my needs. I want a machine I don’t really have to think about (apart from a yearly service) and one that will cope with my sewing and quilting projects. I also plan on getting a long arm quilting machine when I’m ready for one (too busy and still travelling too much to consider one at the moment) so I planned on spending many creative enjoyable hours on my new Bernina in the meantime. I’m also downsizing so this was the machine supposed to replace all my machines (11 of them) and I was planning on quilting on it as well as it has a lovely bigger arm and great lighting. Although I knew I wanted this specific model, when my DH bought it, it was actually a surprise when it arrived – I was taken aback and delighted. 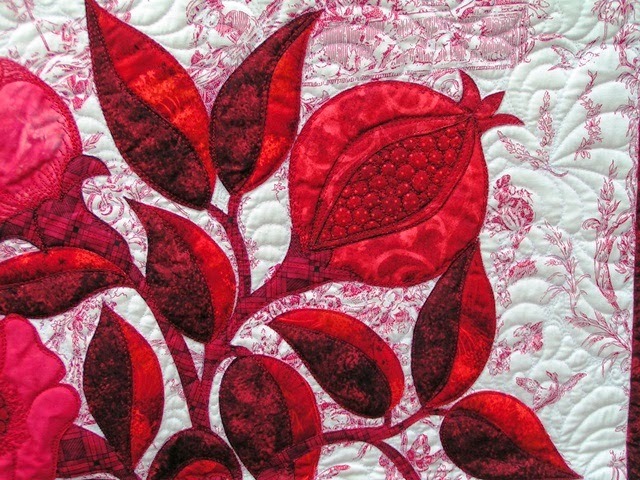 This is my second Bernina. My first Bernina is many years ago now, it was a 960 semi industrial and it was a dream. 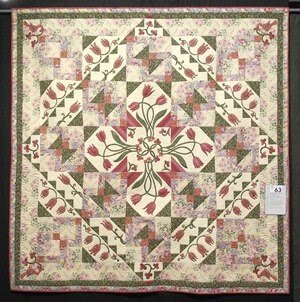 But I wasn’t a quilter then, it was for general sewing. Because we were travelling, moving house and downsizing (yes, all at once) it remained unpacked for a whole year before I set it up in my studio, full of anticipation and looking forward to many creative hours behind it. The Bernina 820 is a terrible machine, riddled with faults. Right from the beginning, my Bernina 820 hasn’t performed as well as I expected. 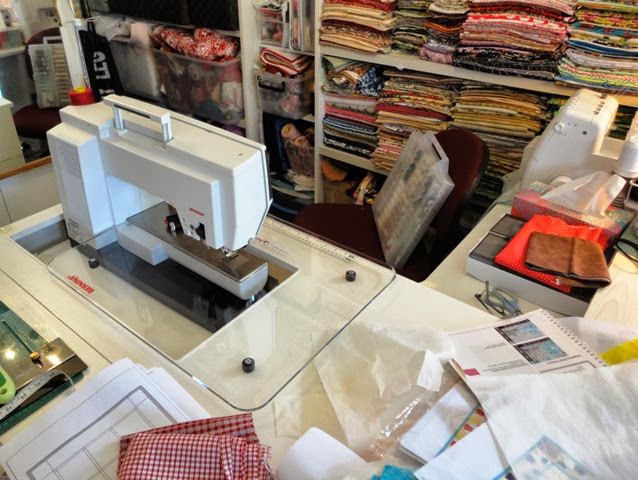 As far as Bernina goes, I know it’s a quilters favourite machine, so my experience has been a great surprise and disappointment and I really thought I was purchasing the best machine in its range. 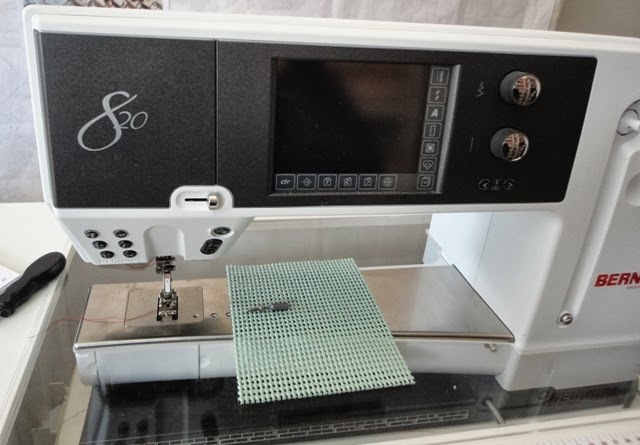 I’m only talking about the Bernina 820 in this post, I still think Bernina is an excellent brand but in my opinion and experience, it’s clear that Bernina lost something when they launched the 820. 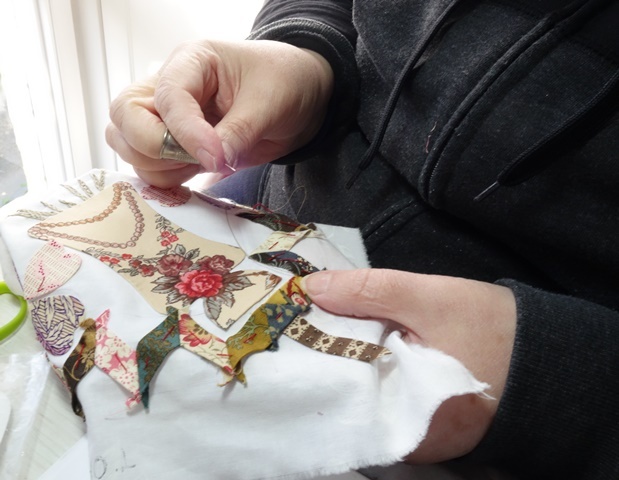 I thought I couldn’t go wrong with a Bernina, after all, it’s always been a regret of mine that I didn’t purchasing a Bernina 440 Quilters Edition when I had the chance years ago– I was travelling a lot at the time and I just didn’t get around to it. 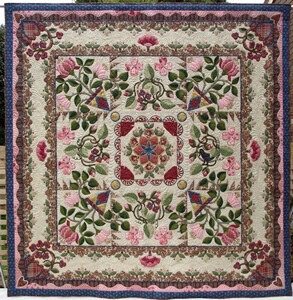 It’s so hard, as an experienced quilter, to get real feedback and reviews on machines unless you own them. Bernina spends a lot of money on advertising and talking to talk, but walking the walk? You’ve got to sit down and sew before you really know the machine. Of course I recommend before buying a machine, to try it out at a show or in store and find out everything you can about it. However I did all these things and I was and am still surprised with certain machine elements that are beginning to add up to one big and expensive disappointment…and they’re mostly only things you can realise when you have the machine at home. I don’t know what to do with this machine now – I suppose I’m going to have to make the most of it. 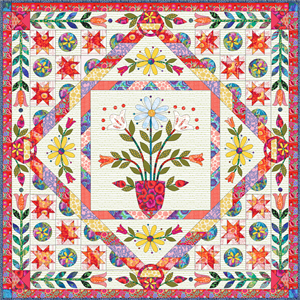 What I do know is that the Bernina 820 is my most expensive quilting regret and if I had my time again, I would not purchase it. 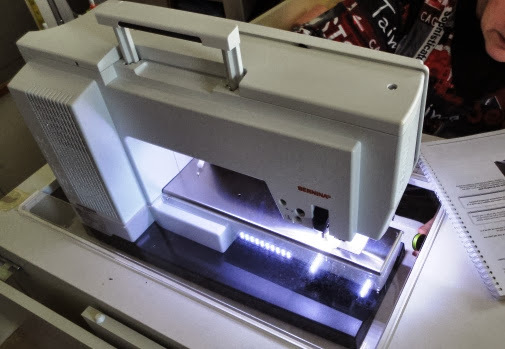 The faults and shortcomings of this machine are too many to list in one blog post, but as I sew quilts in the future, I will share experiences that arise. 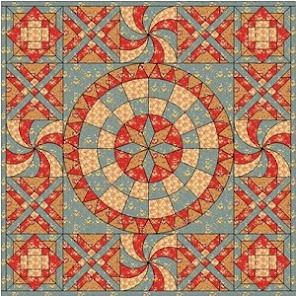 I want to save another quilter experiencing my own disappointment. My Bernina 820 experience is really a lot of small disappointments that have grown into a big frustration. The bobbin shuttle is annoyingly slow and getting used to this ‘function’ speed is ridiculous. I feel like a sewing novice as I wait for the shuttle to open and shut. The knee lifter is also hard to manage – in fact for now, I’ve opted to remove it, it’s too much hassle. I use the buttons instead. Speaking of buttons, as I sew I can’t actually see the buttons easily which means you have to memorise them. I know with time I’ll get faster and better at this as they become familiar but the outlay is annoying and I wish I’d noticed how badly thought out it was before I added the 820 to my wish list. There are so many little annoyances which I’ll just have to grow to love. I have to stop myself reaching for my old machines because I am sick of the Bernina already; it just seems like such an effort to do anything with it. It’s not the quietest machine either; it starts off with a growl which was funny at first but now is just annoying. Something else I’ve noticed is that it hates invisible thread, which is becoming an issue as I use it so much, but definitely the 820 doesn’t like any fine threads. The stitch regulator I was dreaming about? BSR. It’s completely useless to me (and possibly anyone with quilting experience) because it’s much too slow. I'm really surprised at that as I was looking forward to using it. My natural stitching speed is too fast for it which has been a real let down. And the feet? I really wish that all the feet included with the machine would be dual feet, there are feet in my 820 kit which are not and this is a shame. 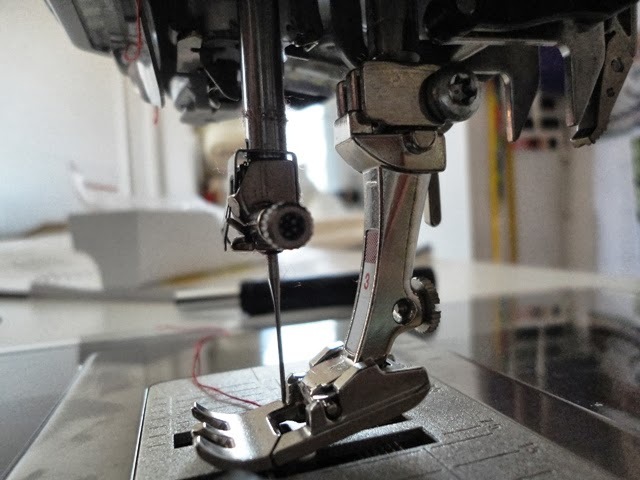 I've now met a few other ladies (too late for me) who are also unhappy with their 820's and have gone through the hassle of taking their machines to the mechanic to be fixed over and over -only to be told that there is 'nothing wrong with the machine' with the insinuation that they don't know how to sew. I have to tell you now, I really dislike it when manufacturers step away from their machines like this. 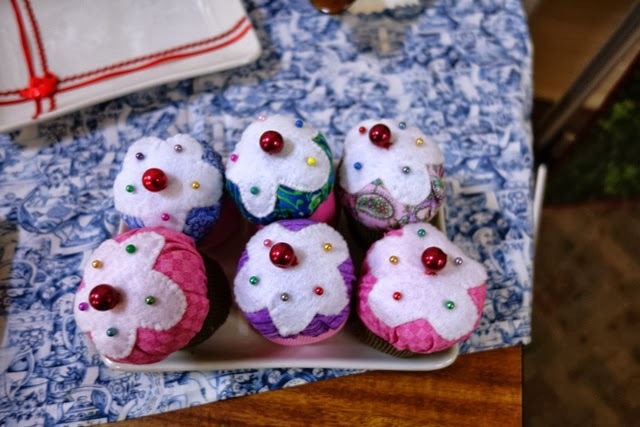 The women in question certainly do know how to sew. 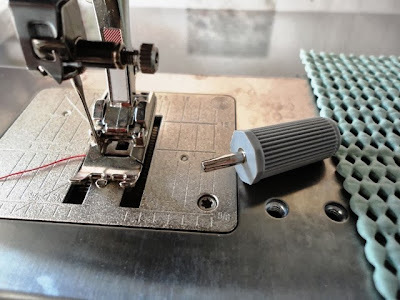 I've also been online and it seems that I'm not alone in my dissatisfaction - many comments and forums all over the world cover the same issues of thread tension, bad stitching and an expensive merry-go-round of mechanic visits that never get to the root of the problem. All in the 820 specifically. How I wish I'd read all this before buying the 820 myself. What a mistake! 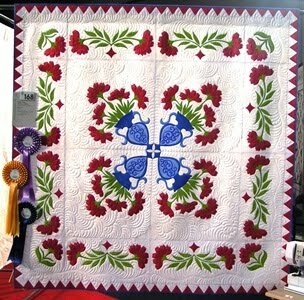 For those of you who might be wondering if I know how to sew, I’ve been sewing for 40 years, quilting for 12 and have won over 30 quilting awards in this time. 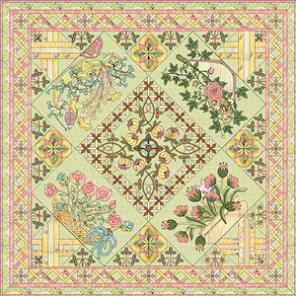 Many for Domestic Machine Quilting (which I also regularly teach). 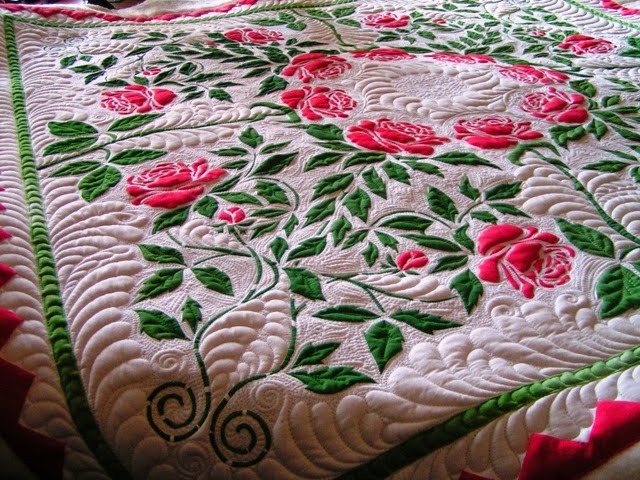 All my award winning quilts have been quilted on various domestic sewing machines (without stitch regulators) so I know a little something about tension, thread control and stitching. But despite all my skills and knowledge to date, I wasn’t able to improve this stitch line: look at the mess on the back of this simple stitch. I’m a perfectionist and this drives me crazy. I feel a little hot under the collar just posting this image. 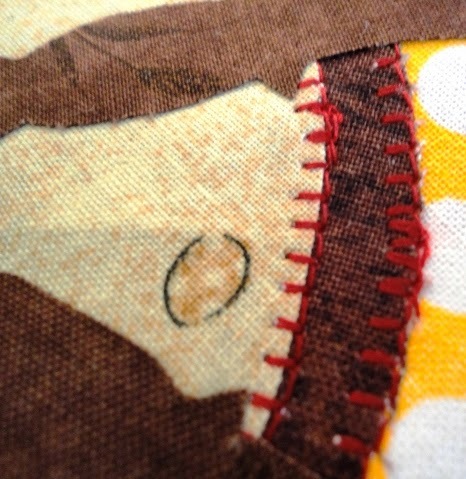 And look at this blanket stitch. This isn’t my first attempt either, this is after tweaking and adjusting and re-adjusting tension control. I’m not planning to go to a mechanic every time something crops up! I own other automatic machines and I know what cutting threads and tying off should look like – and it’s not this. And now for the straw that broke the camel’s back. After spending an hour tweaking my Bernina, this happened: the needle broke. Ordinarily, no big deal. But with my 820, it proved to be yet another episode in ill considered machine elements. I was attempting to change the needle when I realised the Bernina supplied tool for loosening the screw wasn’t working. That’s strange I thought as I continued fiddling with it. No, this really can’t be possible I decided and carried on from different angles. Exasperated (I was in the middle of sewing at this point) I called my DH who took a quick look and came back with a tool from his toolkit – his tool fit the Bernina screw perfectly and he removed the screw for me. Yes, that’s right; the Bernina supplied tool didn’t work! Now you might think, that's no big deal. But for me, this little detail highlighted a much bigger problem with the machine overall. Well, I thought, I wonder what this means? Is my machine all genuine parts? It was purchased brand spanking new and I couldn’t accept that Bernina would allow such a fundamental oversight as supplying the wrong tool, would they?! So my DH went back to the shop and the Bernina supplied tool didn’t fit any of the Bernina 820’s on show there either. 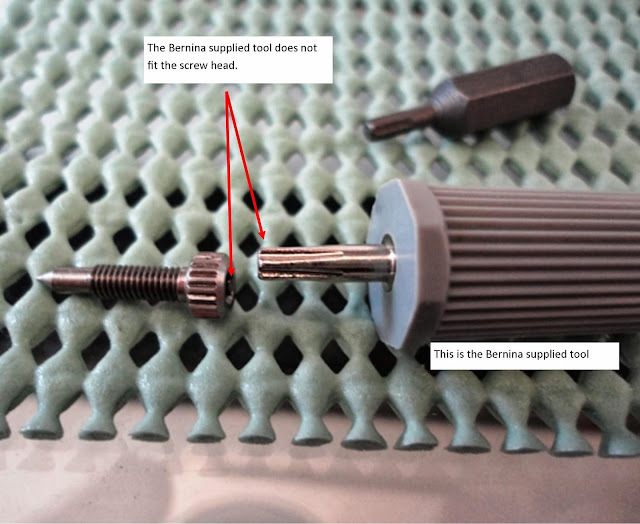 So the store owner unpacked a new Bernina from its box to see what was inside the packed toolkit – and it was also the wrong tool. So my Bernina was all genuine parts, but those parts weren’t well accounted for by Bernina originally. What an oversight, especially from a Swiss company. I know this is a tiny thing which can be corrected (I have my DHs tool in my kit now) but as a perfectionist, this isn’t good enough and I can only wonder what the next surprise will be. Also, I don't know about you - but sending my DH back to my dealer isn't really how I like to spend my sewing afternoons, neither of us have time for this kind of nonsense and I expect better from the 'Bernina' name. The store gave me an alternative screw which I can unfasten by hand, and not have to use the tool, but really…what does this kind of lack of attention to detail mean? What else am I going to have to deal with, fix and get right before I can experience a SINGLE HOURS enjoyment on this machine? Because to date, I haven't even had that. I do know that I am overly emotional about these little incidents, sometimes all these little frustrations bottle up and I explode over minor faults – I just expected a machine that worked, but I’m still so annoyed with the whole thing and coupled with all the little irritations, feel so let down by the machine. 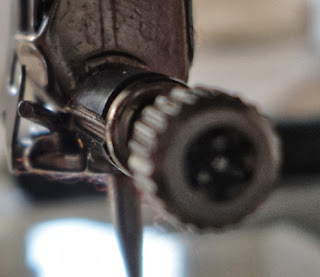 My Bernina 820 is my BIGGEST sewing machine regret. I don’t know who it’s made for. 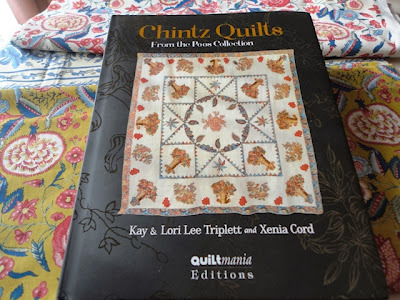 It's a Quilters Edition, however the BSR is too slow for an experienced quilter. 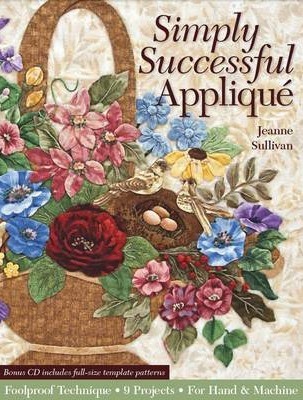 So I only recommend it for sewing enthusiasts, stationed at home. Except, if you have a machine stationed at home in your sewing studio for use - surely you want to be able to use it? And yet, every time I sit down to this machine THERE'S ANOTHER PROBLEM. Yes, I’m disappointed. I expected so much better than what this machine delivers. But it’s here to stay now and I’m going to have to 'learn to love it.' Somehow. I'm going to keep trying to make it work. Obviously when you buy a machine like the 820, you do so because you want to sew. Not waste sewing time complaining. Or repairing. What I don't want to do is get on the merry-go-round of mechanics and repairs that go nowhere, leaving me without a machine for weeks at a time and out of pocket financially. I should say, 'further' out of pocket because this machine is completely useless at the moment. I'm undecided about what to do and feel completely let down by Bernina manufacturing. Bernina is still my dream, and I’m sure there’s one out there that’s right for me. But then again, I though that about the 820 and since it arrived I've been wishing it hadn't. And now, just when I thought my machine shopping days were over, I am once again on the lookout for a machine I can use as a tool for my creativity. The 820, I am devastated to report, is not that machine. 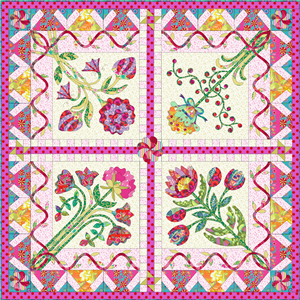 What's your most favoured quilting machine? I'd love to hear some real recommendations. Update: I really appreciate your comments they've already helped make me feel better about this whole situation. Yes, I'm fed up with this machine and frankly, I relied on the Bernina name - I trusted it too much and now I have to live with it. To that degree, it's my fault. You can't rely on reputations: I really thought that 'Bernina couldn't make a bad machine'. I was wrong. This machine is unfit for purpose. I can't simply return the machine because it sat unpacked in it's box for a year whilst we travelled Europe and then moved house. I've literally just unpacked it a few months ago. And I have tried to make it work, I really have...but if I can't make a machine work, then there's something wrong with it. And I also feel so burdened with it, here is the machine I so desperately wanted and I really wanted it...and my DH purchased it for me for such an important anniversary and now I just wish he hadn't. I just wish this machine hadn't happened to me. Update 2: December 2014: This Bernina post was one of my first posts about this sewing machine. 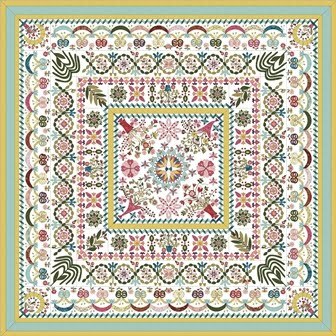 Since then, I have had numerous posts where I have mentioned my Bernina 820. 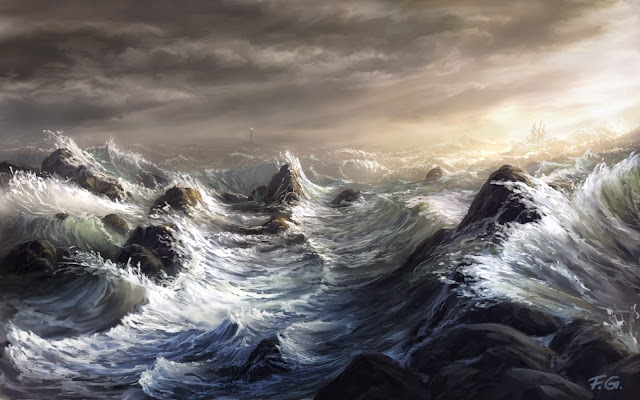 When I wrote this post, I was at the beginning of my troubles. I'm sorry to say it has since got worse, Much worse. I am going to be addressing these issues in a specific post in the New Year. 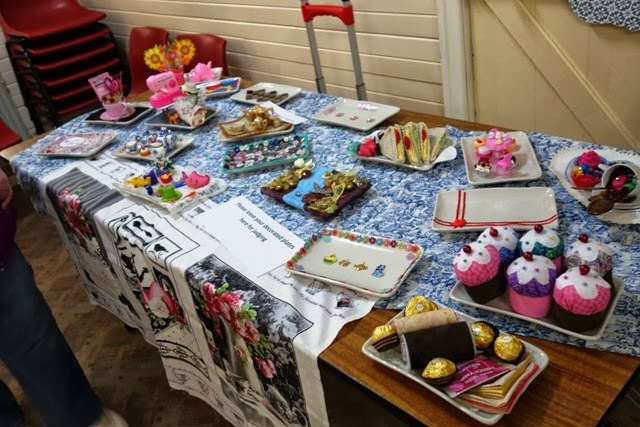 For the many quilters who have emailed me in distress, having experienced the exact same thing - I will also be addressing this in the same post. Because we travel so much, I am always between deciding what to do about this machine and finding the time to do it. Some days, I just want to throw it over a cliff and try again. Other days, I just want to stop sewing. Thanks for all your support on this issue. No one buys a sewing machine because they'd rather be online complaining about it. I bought this machine to sew and quilt. I can't do either of these things. 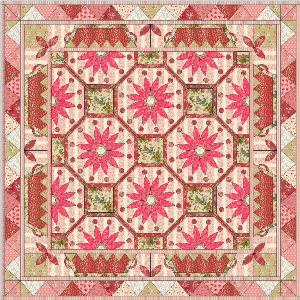 Today I'm delighted to launch my latest pattern Lily Rose with my Yahoo BOM members. 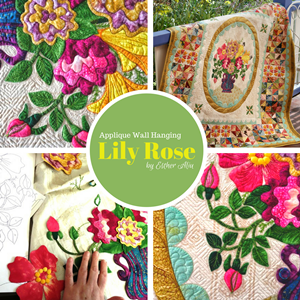 I spoke about 'Lily Rose' in this post a few weeks ago, about my inspirations and how the design developed. 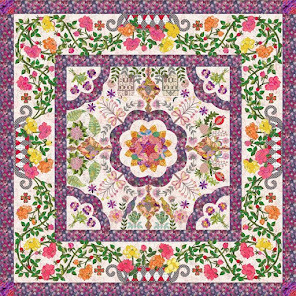 It's one of those quilts that just grows on you. 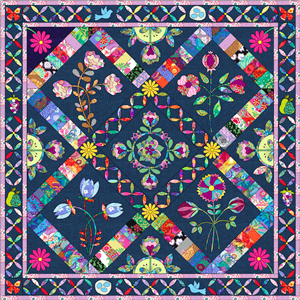 I am in love with the patchwork-ness of it and I love that as a wall hanging, I'll be able to see my favourite scrappy fabrics on display all the time. 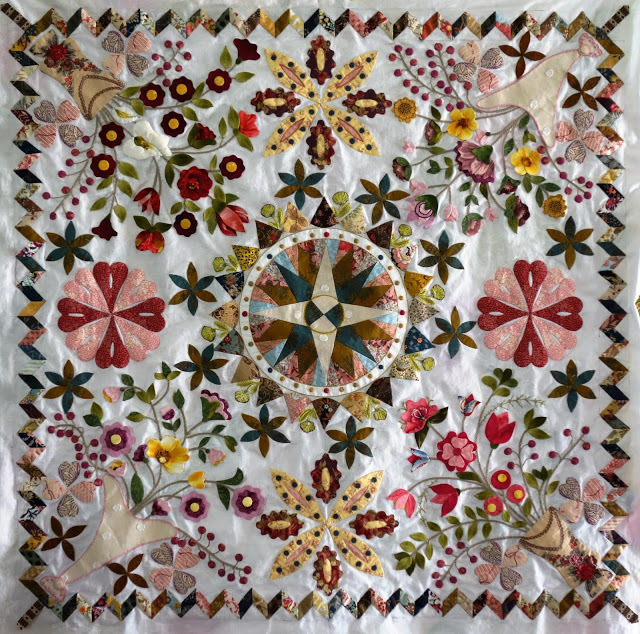 Lily Rose is a wall hanging and for the first time, I am offering this quilt in two sizes: the original size (which is 54 x 58") and a half size (which is 27 x29"). 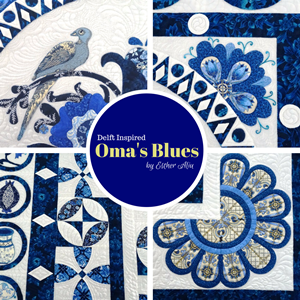 Both sizes will be available for free to members of my Yahoo BOM Group and I recommend the half size to experiences applique quilters only. 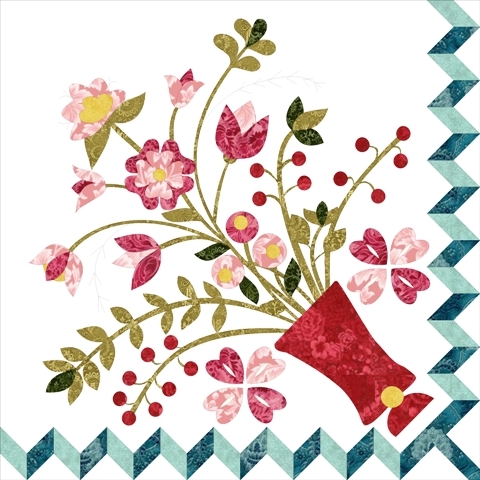 The original size has been styled for beginners - the applique shapes are basic and just right developing your skills without being overwhelming. 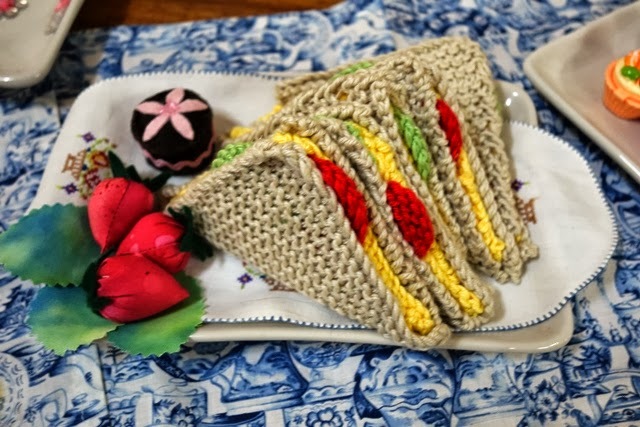 The full size pattern is suitable for beginners. 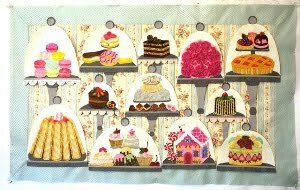 If you are a beginner, select your applique style before starting and don't forget to view my applique tutorial on freezer paper turn edge applique here. 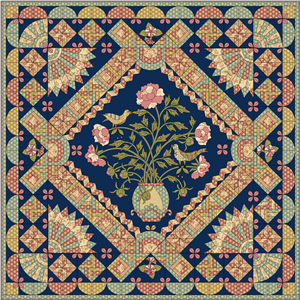 I was planning on releasing this quilt as a BOM over 3 months which would be a nice end to the year, but have decided instead to release the complete pattern at once. I just felt that there would be too much confusion in the group with 2x file sizes being released over 3 x months so the complete pattern will be available outright for 1 month. 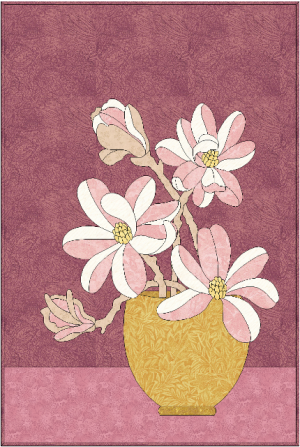 I have so many quilts, and such a long Quilt To Do List that I decided I'd prefer a miniature style quilt (and I confess, I have a spot in mind for it already so this made my decision easier). 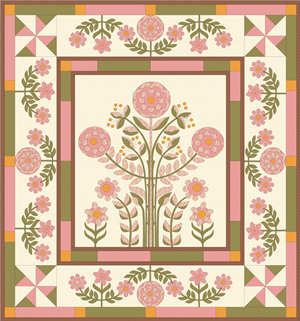 Of course, at 27 x 29" the half size pattern is not a true quilt miniature, but I do think it is charming and I am going to really enjoy the challenge of making the pattern in half size. You know how I was all undecided about fabrics and colours (sounds familiar?) 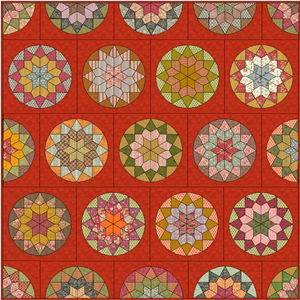 I have settled on the colours listed in the pattern now. 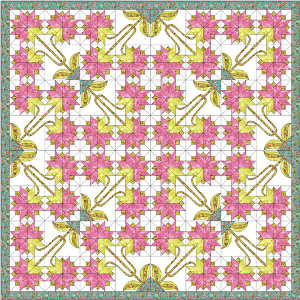 Of course, you will make it to your own style (and I was seriously considering a red and white version...and might yet sway back to that idea.....except I have so many lovely stash busting scraps that it would be a shame not to use them). Apologies for the late posting this morning: I'm having technical issues! 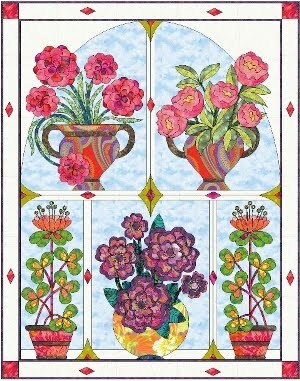 The four hearts on each side of the vases have always stood out to me. 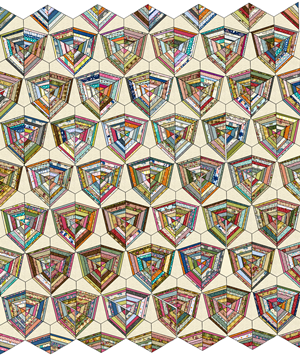 You know, I've spent a lot of time considering the original quilt and, in balance with the circle hearts and polka dot cross of Part 3, I keep falling in love with the elemental repetition. 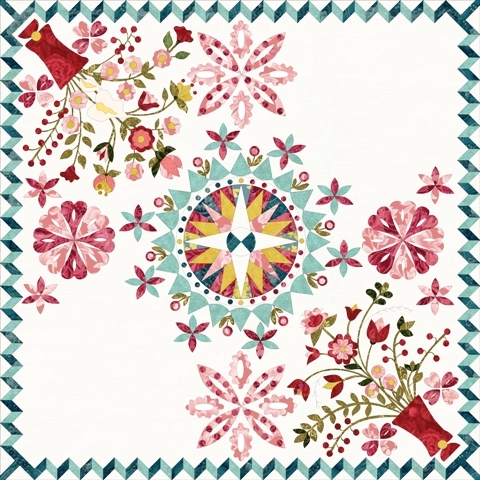 I feel like our mystery quilter was repeating her herself on this quilt top, designing an idea and repeating it. 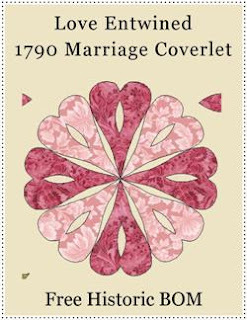 After all, it is a marriage coverlet and I have allowed myself to assume that the maker was thinking about the elements of love in her own world and how they applied to her whilst she was dilligently sewing this beautiful work. A likely fireside scenario? Or overly romantic thinking? Who knows? 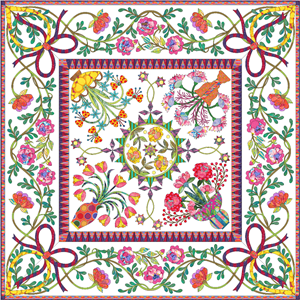 We can only know about our quilter from what she left us as her legacy - the design. Without these extra four hearts repeated around each vase, there would only be a circle of hearts on the east and west sides of the design; but alongside the vases, the four hearts are repeated twice in every corner of the square. That's 48 x hearts in total. 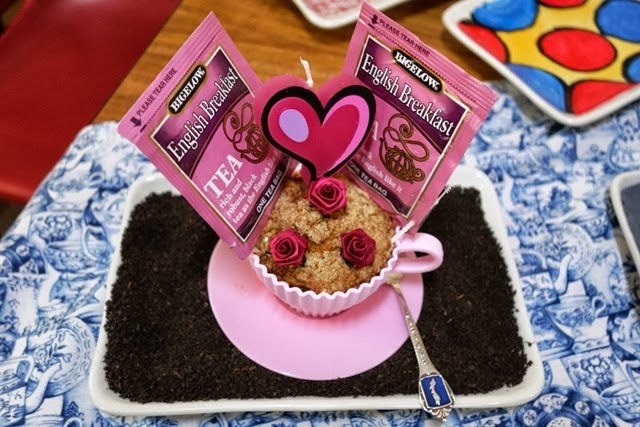 Definitely a heartfelt design! Yes! It's already been 5 months since we started this heirloom journey. 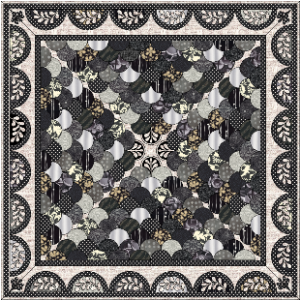 Usually my blocks are only available for free for 1x month, however all the blocks including Block 5 are still up for free in my Yahoo BOM Group - I don't want anyone to miss out on starting this historic quilt. 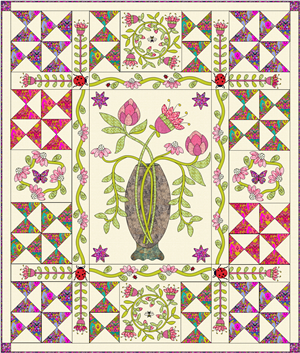 The vases are related diagonally. If you haven't started yet - don't worry, either have I! With one thing and another I'm just not ready, so don't be discouraged or hesitant to join 'late', we're all working at our own pace and you're welcome to join us any time. For those of you waiting on Lily Rose, it will be released tomorrow. 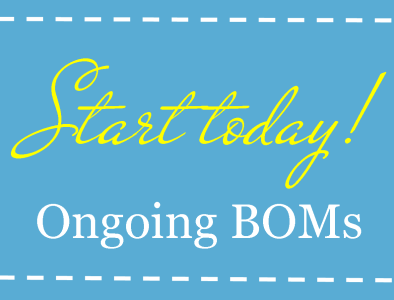 I always release patterns and BOMs on the 15th of the month, but when a BOM is already running, additional BOMs are released the following day. For you lucky 5 winners, if you haven't already received an email from me, please email me by clicking here so I can send you out your Bound to Fit Tool. I will ship these out to you by the end of the week. 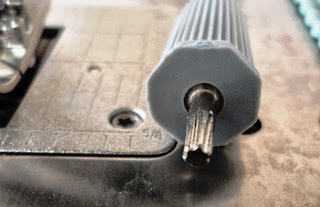 For everyone else, if you would like to purchase a Bound to Fit tool, you can do so via Westalee Design's website. Click here to visit their site. A New Binding Tool Giveaway! Update: 8th Oct, GIVEAWAY CLOSED! 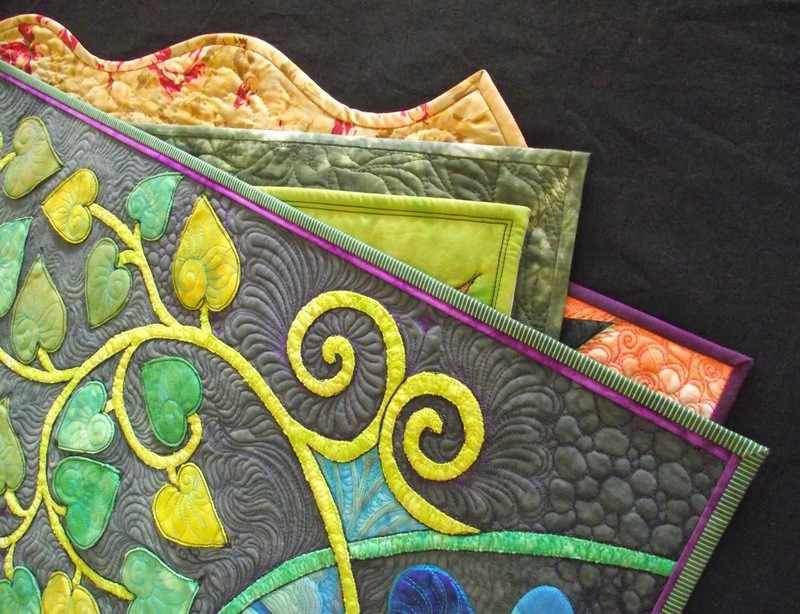 My 'Perfect Binding Everytime' Workshop is always a popular choice for quilters - and I know why; binding is an essential finish yet it's also one of those techniques that some quilters still have difficulty with. 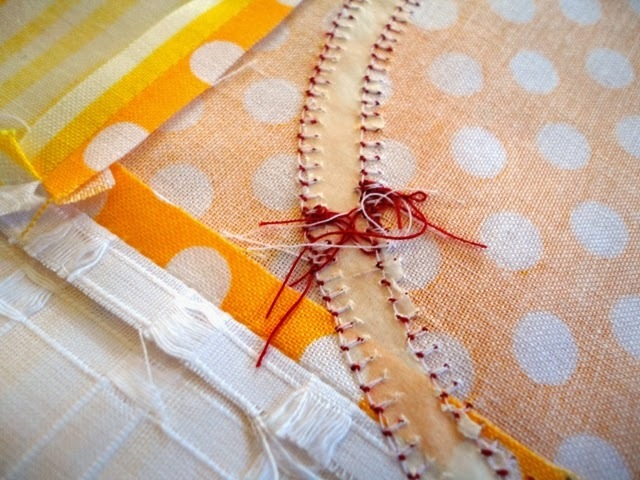 I love showing quilters the techniques and methods I personally use to achieve perfect binding every time and now I'm happy to share a new tool with you that makes binding even easier than ever before. Westalee Design sent me their new Bound To Fit ruler to try for myself. I consider myself a traditionalist, but I'm always looking for new ways to improve my techniques. I'm actually downsizing at the moment, so I'm really fussy about what I add to my tool kit, but as soon as I tried this tool I knew I'd have to share it with all of you. I've added a video from Westalee demonstarting how to use the Bound To Fit Ruler at the bottom of this post. 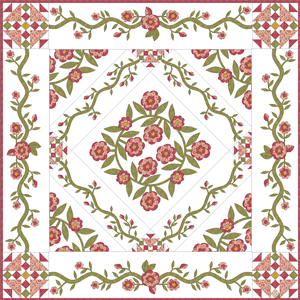 I think it's an excellent tool for every quilter and highly recommend it. I am giving away 5x Bound To Fit rulers! Simply leave a single comment on this post to enter. Anyone can enter. I will send the ruler anywhere in the world. I will select winners using the Random Number Generator. Winners will be announced next Wednesday. I was completely lost in this book all day yesterday. 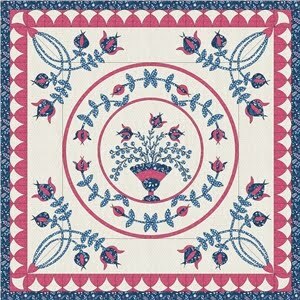 I'm officially going through a chintz phase now. There's always room for one more book...or two, even when you're attempting to downsize (as I am supposed to be). 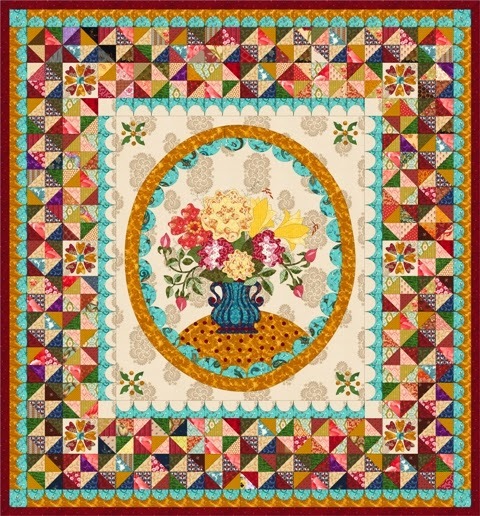 But when I saw Chintz Quilts over on Sally's (feather on a wire) blog I knew I'd get a lot from it. 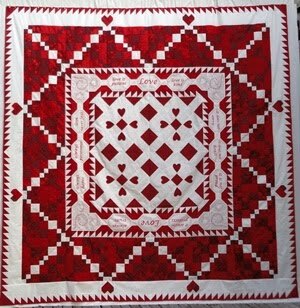 On Friday I was busy preparing for a weekend workshop, but found a few hours to drop in on Quilts In The Barn. Luckily I had an opportunity to buy this book in person and not pay extra for shipping. 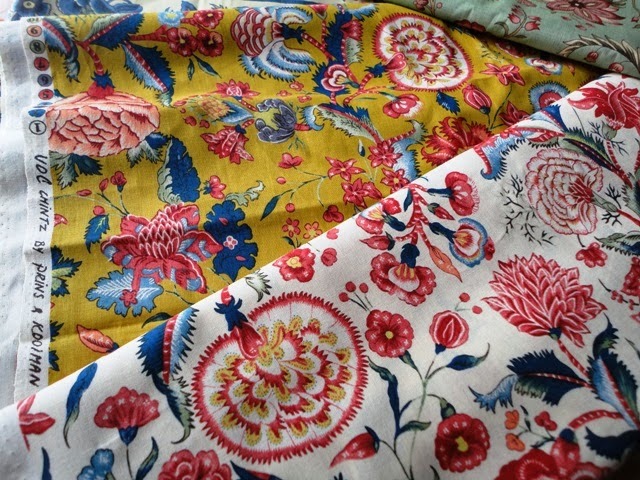 And whilst I was there I had to buy some chintz fabric too. I did decide that I wouldn't buy any new fabric except for specific quilt projects and in limited amounts- but chintz is my new exception. Now, I am stash busting most of the time, so I didn't buy much, but I am in love with what I did bring home. The best thing about collecting chintz fabric and reading about chintz fabric is how inspirational it is, I can already feel the urge to design a new quilt. But first I'll have to get some WIPs finished. It's really getting ridiculous, all my WIPs. I'm too busy to finish anything but seem to find the energy to start completely new things. Or not...I still haven't started Love Entwined!